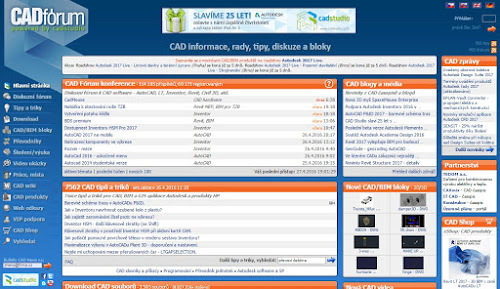 The popular international web portal by CAD Studio - CADforum.cz - is one of the most visited web sites in the category CAD. E.g. Alexa ranks it currently on the 8th place worldwide, and in some countries, e.g. in Germany and Czechia, on the 1st place. Over 710.000 registered users and monthly traffic with more than 650.000 visits, 3 million pageviews and over 1TB of transferred data puts demands on hardware performance of the web server machine behind this portal. This was one of the reasons we decided to replace the aging but still reliable HP NetServer with a modern cloud web hosting service. We have choosen the AC Cloud service operated by our mother company AutoCont on the Microsoft Azure platform, from a Czech datacenter. The servers (besides CADforum.cz we were moving also CADstudio.cz, Helpdesk and a couple of minor web services) were transferred in two phases - you may have noticed a planned 6-hour outage last Saturday which was used to upload the data contents to the cloud, and yesterday evening (CET) we have performed the final update of files and SQL databases, plus the domain switch. All transferred web domains (there were over 20 of them) are now running from the new cloud hosting. We wanted not only to increase reliability but also to increase performance of the web site, preparing it for further development. You may have noticed faster responses of our web sites running in the AC Cloud since today. We plan to employ the performance reserves for planned enhancements of user services. We already use the AC Cloud and Microsoft Azure platform for our other web services - e.g. 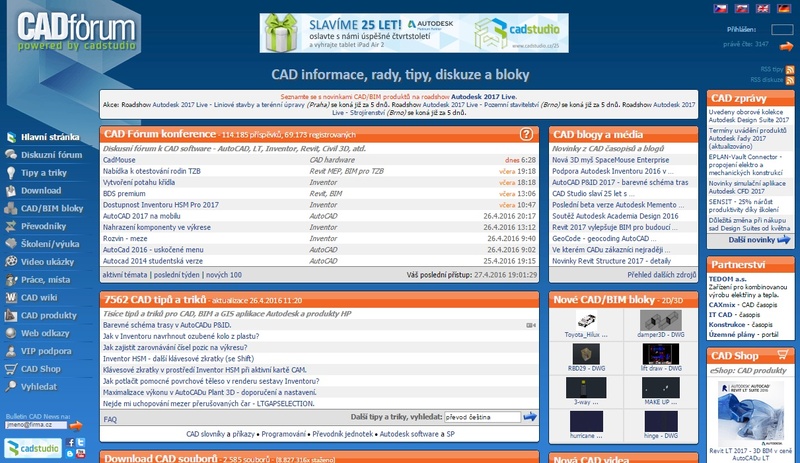 for the mobile GIS application twiGIS, for the cloud service BIMforMe or for our BIM portal BIMfo.cz. If you see any unusual responses on our web sites these days, please let us know.